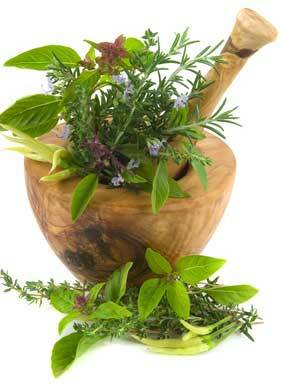 The best time to start an emergency, natural medicine cabinet is during the times of no emergency. I started out with just a few items and as I could afford each month I would order another few things to keep it growing. Thankfully today, I have cabinets full of medicinal herbs, tinctures, supplements, essential oils, salves, and other valuable items. With much researching, reading, praying, and consulting with natural health professionals, we have not used any man made, pharma creation in years. That is not to say we haven’t had any emergencies, or that everyone never gets sick. But each experience God has allowed to come our way, He has also provided an answer for, using His natural means. Please remember that the key to using natural remedies is to hit it hard, immediately when there are symptoms and make sure you’re using the right thing for the right ailment. Nature Sunshine’s Silver Shield – this is a patented colloidal silver that will not bother the good bacteria in the body. USES: topical infections and internally for viruses and other pathogens in infants and little people who can’t do other remedies yet – will kill most pathogens (yeast, virus, bacteria…) if used consistently and often. Healing Salve – homemade salve with herbs that heal, for topical use on cuts, bruises, bone issues (sprains, broken, or misalignment), muscle problems (tears, pulled, or sore)… I used the basic formula from Dr. Christopher’s Complete Bone and Tissue Repair. Lavender Essential Oil – every time a small one gets a big bump or “owie”, we get the lavender out. I am always amazed how quickly the swelling disappears, and the bruising is either minimal or non-existent after several applications. It is also very calming for them after a traumatic accident. Good for burns, and any other skin ailment – can be used straight, or mixed in a carrier oil first. Activated Charcoal – crucial for poisonous bites, insect bites that are reactive, food poisoning. Diatomaceous Earth – kills parasites and pathogens in digestive system; more info click here. Black Walnut Hull powder and White Oak Bark tincture – for tooth issues. Though we have never had a cavity or tooth decay, I have not had to use them (remember that tooth decay is another symptom in the body of malnutrition or toxic overload). But I know that they do heal and restore enamel and kill bad bacteria. So, I keep them on hand. I also have an Herbal Tooth Powder by Dr. Christopher should we need it. Di-Giz – a digestive blend for any digestive complaint; I have used this countless times on colicy babies, upset tummies, to kill pin worms and other parasites. Peppermint – to reduce fevers, for digestion, to kill skin parasites, speed healing; I think I had a list of over 100 uses for this one oil. It’s pretty amazing. Melrose (tea tree and rosemary) – kills fungus (like athlete’s foot, or other nail infections). Purity – antiseptic, toxin cleanser, removes odors out of just about ANYTHING, and also purifies chemicals out of things. Peace and Calming – doesn’t that just say it all? Thieves – will kill basically any pathogen, kills parasites (even horrible ones like scabies); have used this for so many ailments, I couldn’t even list them all. I am sure I could come up with a ton more. I love essential oils as my go to resource for natural healing. I have used them and seen them used on my family and friends to successfully treat staph infections, bladder and kidney infections, UTI’s, and countless other problems. They are so potent and work so quickly, I am so thankful that God has given them to us. They have been used dating back to Biblical times and are referenced in Scripture. Just amazing. I also appreciate homeopathic remedies. I keep just a few on hand, like chamomilia and a teething combo by Hyland’s for the babies; and Cold Calm for serious colds/flu type issues. Homeopaths are great for infants, because they have little taste, dissolve quickly in the mouth, and of course, have NO side effects. There are many websites explaining which ones to use and for what. There are so many wonderful natural remedies out there, this is just the tip of it. Many helpful books have been written on the subject. Some of my favorite books on the subject are: Be Your Own Doctor, Prescription for Nutritional Healing, The Green Pharmacy, EO Desk Reference, and here are some more. My official disclaimer: The information here is for educational purposes, it is not intended to treat, diagnose or cure any disease or ailment. Do your own research. Pray for your answers. We are responsible for our own health and those entrusted to us. Do the best you can, with what you have; let God make up the difference. May God bless you in your endeavor to take care of your family naturally in all situations. Thanks for always pushing me to think.